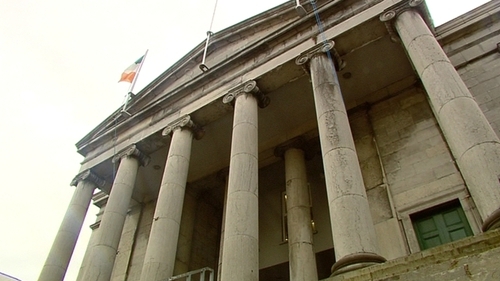 A local election candidate and former senator has gone to the Circuit Court in Tralee to have the result of the Listowel Electoral area declared invalid and to seek a full recount. Dan Kiely, a former Fianna Fáil councillor and senator, lost out by just two votes to a Fine Gael candidate in Listowel last weekend. Mr Kiely, who stood as an independent, claims that he did not get to see and was twice refused his request to inspect spoilt papers, including during a recount. The application seeking direction was heard by Judge Ray Fulham and the matter, which the court heard was urgent, has been set for hearing. The first meeting of Kerry County Council has been set for 6 June. Mr Kiely's legal team is claiming that meeting will be invalid. Legal representative for Kerry County Council, Henry Downing, instructed by council solicitor Rosemary Cronin, told the court this afternoon the meeting will not be invalid, even if a recount is allowed and returns a different outcome. Mr Kiely, of Doonard, Tarbert, Co. Kerry, yesterday entered sworn recognizances, as required, under the Local Elections Act and the assigned Judge, Judge Carroll Moran is to hear the case on 17 June. Thanking the council's team for appearing in court "at such short notice," Ms Liz Murphy, barrister for Mr Kiely, outlined how the civil bill is being brought on grounds set out in the Local Elections (Petitions and Disqualifications) Act 1974. Certain formalities, including surety of €381 by the plaintiff, were accepted and formal notice is to be sent to the local authority, the Minister for Local Government and the Attorney General. Ms Murphy also stressed that they were seeking an early hearing, "the application is for an early hearing. The inaugural meeting (of the new county council) is on 6 June." "If this petition is successful that meeting may be void. If it is successful the election will be deemed not to have been held," she told Judge Fulham. Henry Downing, the council's barrister, said he had no objection to the early hearing. "But once the election takes place, the meeting is valid even if the court orders a recount," Mr Downing said. Filing of defence by the council has been put to Friday week, Mr Downing said he would have to consult with the returning officer "and it's quite complex." The returning officer is to be a witness and the fourteen other candidates are all to be notified. Solicitor Patrick Enright told the court he was representing the candidate "most affected", Michael Kennelly. "Mr Kiely was defeated by two votes by Mike Kennelly. He is the candidate most likely to be affected by all of this. We cannot have a petition without him," Mr Enright said. Mr Downing said while he had no problem with the candidates being represented, they would have to do so at their own costs, not at the expense of either party in the proceedings. In the Civil Bill lodged in court yesterday Mr Kiely claims that the council "in the absence" of Mr Kiely, but in the presence of some of the other candidates or their agents convened a meeting of which he was unaware to adjudicate on the irreuglar ballot papers. 57 ballot papers were admitted to the count, and 173 deemed ineligible or "impugned". Mr Kiely was absent from this process. "And he was subsequently denied and refused sight of the questioned ballots," notwithstanding demanding to see them. On the 25 May and again on 26 May when a recount took place, the returning officer "incorrectly and unlawfully" and despite a request, failed to include the questioned ballots and "for a second time" Mr Kiely was not allowed to make representation or submission or any discussion about the questionable papers. The returning officer, the civil bill claims, "wrongfully declared" the election of candidates to the exclusion of the peititoner/plaintiff who failed to be elected by two votes." Mr Kiely and his legal team are now seeking a declaration that the council's decision to consider the validity of the impugned ballots without notifying Mr Kiely or his agent, was incorrect and unlawful; and that their refusal was unlawful, and they are seeking the declaration of the result to be invalid, "an order quashing the declaration of the result of the poll" as made by the Returning Officer on 26 May and that the members purported to have been elected be deemed not to have come into office. Finally they want a full recount of the votes and costs.